We are excited to welcome two new additions to the Cambridge faculty: Alissa Wilcox as the second grade teacher and Michael Bealefeld as sixth grade teacher! Alissa Wilcox is enthusiastic, organized and will do a great job taking over for Steph Schilling. 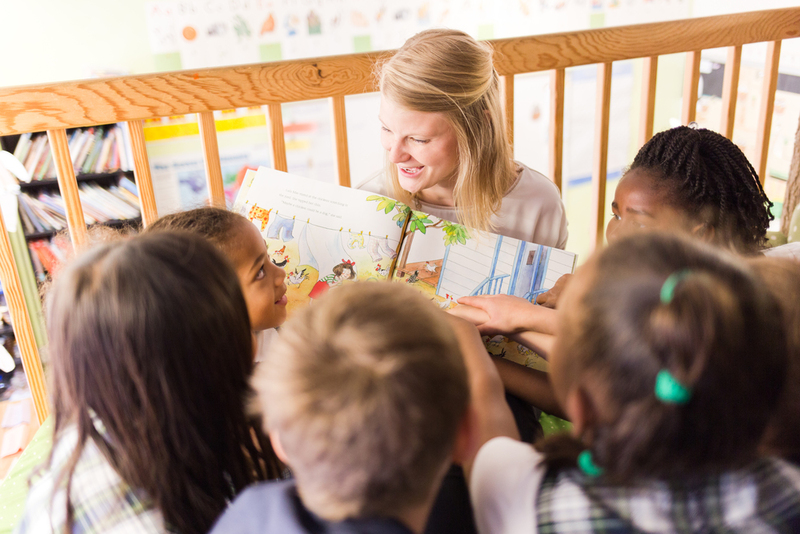 She holds certifications in teaching and as a reading specialist in multiple states. Since graduating from Lynchburg College, she has taught at Deep Creek and Cedercroft Elementary Schools. She will be entering her fourth year of teaching in the fall. When Alissa is not at school she enjoys singing, playing piano and reading. She is the worship leader at City Church in Baltimore and loves learning to play new songs. She met her husband Brian, a videographer and visual storyteller, in college and they were married in 2014. Together, they play with their dog, go to Orioles’ games, and get outside in nature together. We suspect that she’ll like all the outdoor field trips in second grade! Michael Bealefeld recently graduated from the University of Maryland Baltimore County with a Master's in historical studies. He has been teaching classical humanities courses to middle school students at St. Thomas Aquinas Tutorial. Michael's love for history was cultivated during his youth as an avid reader of historical literature and visiting historic locations. He looks forward to sharing his passion for history and the humanities with students, helping them to grow in knowledge, skills, virtue, and truth. Michael (above left) participates in historical reenactments with his fiancè, Adele. Alissa (above right) read to her new class in their classroom loft.